Who said computer cases can't look good? Carry your electronics in style! In this CraftJam you get to create a custom cover for your tablet or laptop made of felt and leather, our favorite duo of materials. Don’t consider yourself crafty? No problem! Absolute beginners are welcome to our Jams, no skills needed. In this class you are able to create this useful project from start to finish. Success is guaranteed! 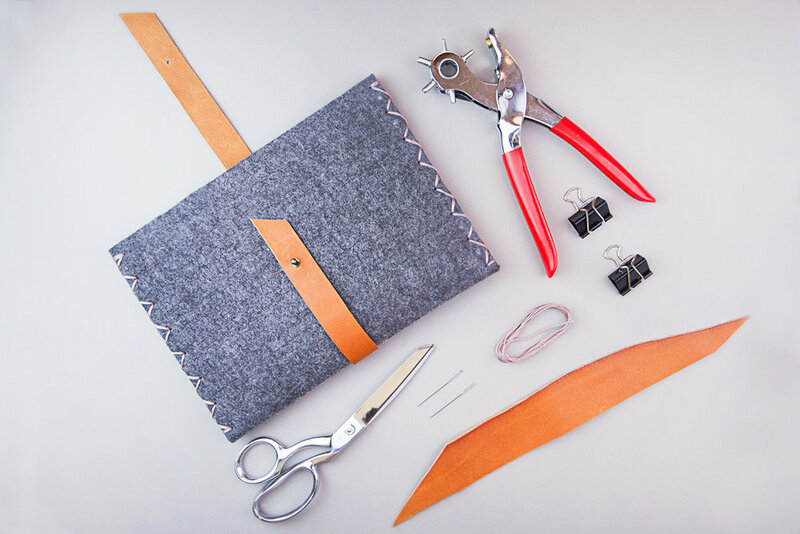 We’ve got all the materials you need, including an assortment of felt and leather, colorful thread options, all the right tools, and a leather stamping station. Paint And Pot Cute Succulents - SOLD OUT!